I am excited to announce that after almost 12 years in practice and continually striving to improve delivery of the most effective individualized health care I believe we have found an even better way to ensure you achieve your goals. Through witnessing the healing process of many committed clients through the years I have gained a deep appreciation and respect for the commitment and time it takes to truly restore health verses managing with suppressive therapies. The process must begin with carefully listening to your goals and recognizing the relevant pieces behind the obstacles to reaching your goals. And you must be able to find your willingness and resolve to try new strategies while also being a steadfast observer and reporter of your process. If we have worked together you already know that my approach to your health is detailed and involved. I deeply value and respect this commitment and see it as an absolute integral part of your success. I am thrilled to have realized a way to implement this reality into an even more individualized approach by tailoring your visit packaging to most accurately reflect the investment needed to accomplish your goals. Our #1 priority is to have you achieve better health. Step one is clarifying what you want and the commitment it will take to accomplish this. If you are currently signed up for one of our 12 month Wellness Plan you are welcome to complete your contract as agreed and nothing immediately changes for you. When your Wellness Plan period comes to an end we will re-assess your current goals and needs at that time. If you would like to discuss an alternative option now we can address this at your next appointment. FYI, Our front desk does not have the familiarity with your goals or the sense of what it will take to accomplish this so I must discuss this with you directly. If you have been scheduling as a “Time of Service” patient and paying for individual appointments then please note your next 1 hour follow-up will be $400. We will discuss your progress and tailor a package to fit your needs at the end of your next visit. All new patients still begin with an introductory consultation to adequately determine goals, needs and appropriate fit for this model of healthcare. If you have already had an Introductory consult and would like to work together please note our previous “Wellness Package” and “time-of-service” options are no longer available and a new plan tailored for you must be discussed before scheduling your New Patient appointment. Please call to discuss details. Thank you for your commitment to your health. Your commitment, more than anything, gives me hope for the future health of our world and our children’s world. 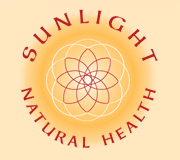 Copyright © 2018 Sunlight Natural Health, All rights reserved.